This article is about a software platform. For the programming language, see Java (programming language). For the software package downloaded from java.com, see Java SE. Dual-license: GNU General Public License version 2 with classpath exception, and a proprietary license. Java is a set of computer software and specifications developed by James Gosling at Sun Microsystems, which was later acquired by the Oracle Corporation, that provides a system for developing application software and deploying it in a cross-platform computing environment. Java is used in a wide variety of computing platforms from embedded devices and mobile phones to enterprise servers and supercomputers. Java applets, which are less common than standalone Java applications, were commonly run in secure, sandboxed environments to provide many features of native applications through being embedded in HTML pages. It's still possible to run Java in web browsers after most of them having dropped support for Java's VM. On November 13, 2006, Sun Microsystems made the bulk of its implementation of Java available under the GNU General Public License (GPL). The latest version is Java 11, released on September 25, 2018. Java 11 is a currently supported long-term support (LTS) version ("Oracle Customers will receive Oracle Premier Support"); Oracle released for the "legacy" Java 8 LTS the last free "public update" in January 2019 for commercial use, while it will otherwise still support Java 8 with public updates for personal use up to at least December 2020. Oracle (and others) "highly recommend that you uninstall older versions of Java", because of serious risks due to unresolved security issues. Since Java 9 is no longer supported, Oracle advises its users to "immediately transition" to Java 11. Extended support for Java 6 ended in December 2018. Java Card: A technology that allows small Java-based applications (applets) to be run securely on smart cards and similar small-memory devices. Java ME (Micro Edition): Specifies several different sets of libraries (known as profiles) for devices with limited storage, display, and power capacities. It is often used to develop applications for mobile devices, PDAs, TV set-top boxes, and printers. Java EE (Enterprise Edition): Java SE plus various APIs which are useful for multi-tier client–server enterprise applications. The Java platform consists of several programs, each of which provides a portion of its overall capabilities. For example, the Java compiler, which converts Java source code into Java bytecode (an intermediate language for the JVM), is provided as part of the Java Development Kit (JDK). The Java Runtime Environment (JRE), complementing the JVM with a just-in-time (JIT) compiler, converts intermediate bytecode into native machine code on the fly. The Java platform also includes an extensive set of libraries. The essential components in the platform are the Java language compiler, the libraries, and the runtime environment in which Java intermediate bytecode executes according to the rules laid out in the virtual machine specification. The heart of the Java platform is the concept of a "virtual machine" that executes Java bytecode programs. This bytecode is the same no matter what hardware or operating system the program is running under. However, new versions, such as for Java 10 (and earlier), have made small changes, meaning the bytecode is in general only forward compatible. There is a JIT (Just In Time) compiler within the Java Virtual Machine, or JVM. The JIT compiler translates the Java bytecode into native processor instructions at run-time and caches the native code in memory during execution. The use of bytecode as an intermediate language permits Java programs to run on any platform that has a virtual machine available. The use of a JIT compiler means that Java applications, after a short delay during loading and once they have "warmed up" by being all or mostly JIT-compiled, tend to run about as fast as native programs. Since JRE version 1.2, Sun's JVM implementation has included a just-in-time compiler instead of an interpreter. Although Java programs are cross-platform or platform independent, the code of the Java Virtual Machines (JVM) that execute these programs is not. Every supported operating platform has its own JVM. In most modern operating systems (OSs), a large body of reusable code is provided to simplify the programmer's job. This code is typically provided as a set of dynamically loadable libraries that applications can call at runtime. Because the Java platform is not dependent on any specific operating system, applications cannot rely on any of the pre-existing OS libraries. Instead, the Java platform provides a comprehensive set of its own standard class libraries containing many of the same reusable functions commonly found in modern operating systems. Most of the system library is also written in Java. For instance, the Swing library paints the user interface and handles the events itself, eliminating many subtle differences between how different platforms handle components. The Java class libraries serve three purposes within the Java platform. First, like other standard code libraries, the Java libraries provide the programmer a well-known set of functions to perform common tasks, such as maintaining lists of items or performing complex string parsing. Second, the class libraries provide an abstract interface to tasks that would normally depend heavily on the hardware and operating system. Tasks such as network access and file access are often heavily intertwined with the distinctive implementations of each platform. The java.net and java.io libraries implement an abstraction layer in native OS code, then provide a standard interface for the Java applications to perform those tasks. Finally, when some underlying platform does not support all of the features a Java application expects, the class libraries work to gracefully handle the absent components, either by emulation to provide a substitute, or at least by providing a consistent way to check for the presence of a specific feature. The word "Java", alone, usually refers to Java programming language that was designed for use with the Java platform. Programming languages are typically outside of the scope of the phrase "platform", although the Java programming language was listed as a core part of the Java platform before Java 7. The language and runtime were therefore commonly considered a single unit. However, an effort was made with the Java 7 specification to more clearly treat the Java language and the Java virtual machine as separate entities, so that they are no longer considered a single unit. Scala – A multi-paradigm programming language with non-Java compatible syntax designed as a "better Java"
The success of Java and its write once, run anywhere concept has led to other similar efforts, notably the .NET Framework, appearing since 2002, which incorporates many of the successful aspects of Java. .NET in its complete form (Microsoft's implementation) is currently only fully available on Windows platforms, whereas Java is fully available on many platforms. .NET was built from the ground-up to support multiple programming languages, while the Java platform was initially built to support only the Java language, although many other languages have been made for JVM since. .NET includes a Java-like language called Visual J# (formerly named J++) that is incompatible with the Java specification, and the associated class library mostly dates to the old JDK 1.1 version of the language. For these reasons, it is more of a transitional language to switch from Java to the .NET platform than it is a first class .NET language. Visual J# was discontinued with the release of Microsoft Visual Studio 2008. The existing version shipping with Visual Studio 2005 will be supported until 2015 as per the product life-cycle strategy. The Java Development Kit (JDK) is a Sun product aimed at Java developers. Since the introduction of Java, it has been by far the most widely used Java software development kit (SDK). It contains a Java compiler, a full copy of the Java Runtime Environment (JRE), and many other important development tools. The Java platform and language began as an internal project at Sun Microsystems in December 1990, providing an alternative to the C++/C programming languages. Engineer Patrick Naughton had become increasingly frustrated with the state of Sun's C++ and C application programming interfaces (APIs) and tools, as well as with the way the NeWS project was handled by the organization. Naughton informed Scott McNealy about his plan of leaving Sun and moving to NeXT; McNealy asked him to pretend he was God and send him an e-mail explaining how to fix the company. Naughton envisioned the creation of a small team that could work autonomously without the bureaucracy that was stalling other Sun projects. McNealy forwarded the message to other important people at Sun, and the Stealth Project started. 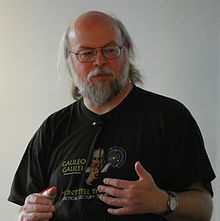 The Stealth Project was soon renamed to the Green Project, with James Gosling and Mike Sheridan joining Naughton. Together with other engineers, they began work in a small office on Sand Hill Road in Menlo Park, California. They aimed to develop new technology for programming next-generation smart appliances, which Sun expected to offer major new opportunities. The team originally considered using C++, but rejected it for several reasons. Because they were developing an embedded system with limited resources, they decided that C++ needed too much memory and that its complexity led to developer errors. The language's lack of garbage collection meant that programmers had to manually manage system memory, a challenging and error-prone task. The team also worried about the C++ language's lack of portable facilities for security, distributed programming, and threading. Finally, they wanted a platform that would port easily to all types of devices. Bill Joy had envisioned a new language combining Mesa and C. In a paper called Further, he proposed to Sun that its engineers should produce an object-oriented environment based on C++. Initially, Gosling attempted to modify and extend C++ (a proposed development that he referred to as "C++ ++ --") but soon abandoned that in favor of creating a new language, which he called Oak, after the tree that stood just outside his office. By the summer of 1992, the team could demonstrate portions of the new platform, including the Green OS, the Oak language, the libraries, and the hardware. Their first demonstration, on September 3, 1992, focused on building a personal digital assistant (PDA) device named Star7 that had a graphical interface and a smart agent called "Duke" to assist the user. In November of that year, the Green Project was spun off to become Firstperson, a wholly owned subsidiary of Sun Microsystems, and the team relocated to Palo Alto, California. The Firstperson team had an interest in building highly interactive devices, and when Time Warner issued a request for proposal (RFP) for a set-top box, Firstperson changed their target and responded with a proposal for a set-top box platform. However, the cable industry felt that their platform gave too much control to the user, so Firstperson lost their bid to SGI. An additional deal with The 3DO Company for a set-top box also failed to materialize. Unable to generate interest within the television industry, the company was rolled back into Sun. In June and July 1994 – after three days of brainstorming with John Gage (the Director of Science for Sun), Gosling, Joy, Naughton, Wayne Rosing, and Eric Schmidt – the team re-targeted the platform for the World Wide Web. They felt that with the advent of graphical web browsers like Mosaic the Internet could evolve into the same highly interactive medium that they had envisioned for cable TV. As a prototype, Naughton wrote a small browser, WebRunner (named after the movie Blade Runner), renamed HotJava in 1995. In 1994, Sun renamed the Oak language to Java after a trademark search revealed that Oak Technology used the name Oak. Although Java 1.0a became available for download in 1994, the first public release of Java, Java 1.0a2 with the HotJava browser, came on May 23, 1995, announced by Gage at the SunWorld conference. Accompanying Gage's announcement, Marc Andreessen, Executive Vice President of Netscape Communications Corporation, unexpectedly announced that Netscape browsers would include Java support. On January 9, 1996, Sun Microsystems formed the JavaSoft group to develop the technology. The Java language has undergone several changes since the release of JDK (Java Development Kit) 1.0 on January 23, 1996, as well as numerous additions of classes and packages to the standard library. Since J2SE 1.4 the Java Community Process (JCP) has governed the evolution of the Java Language. The JCP uses Java Specification Requests (JSRs) to propose and specify additions and changes to the Java platform. The Java Language Specification (JLS) specifies the language; changes to the JLS are managed under JSR 901. Sun released JDK 1.1 on February 19, 1997. Major additions included an extensive retooling of the AWT event model, inner classes added to the language, JavaBeans and JDBC. J2SE 1.2 (December 8, 1998) – Codename Playground. This and subsequent releases through J2SE 5.0 were rebranded Java 2 and the version name "J2SE" (Java 2 Platform, Standard Edition) replaced JDK to distinguish the base platform from J2EE (Java 2 Platform, Enterprise Edition) and J2ME (Java 2 Platform, Micro Edition). Major additions included reflection, a collections framework, Java IDL (an interface description language implementation for CORBA interoperability), and the integration of the Swing graphical API into the core classes. A Java Plug-in was released, and Sun's JVM was equipped with a JIT compiler for the first time. J2SE 1.3 (May 8, 2000) – Codename Kestrel. Notable changes included the bundling of the HotSpot JVM (the HotSpot JVM was first released in April, 1999 for the J2SE 1.2 JVM), JavaSound, Java Naming and Directory Interface (JNDI) and Java Platform Debugger Architecture (JPDA). J2SE 1.4 (February 6, 2002) – Codename Merlin. This became the first release of the Java platform developed under the Java Community Process as JSR 59. Major changes included regular expressions modeled after Perl, exception chaining, an integrated XML parser and XSLT processor (JAXP), and Java Web Start. J2SE 5.0 (September 30, 2004) – Codename Tiger. It was originally numbered 1.5, which is still used as the internal version number. Developed under JSR 176, Tiger added several significant new language features including the for-each loop, generics, autoboxing and var-args. Java SE 7 (July 28, 2011) – Codename Dolphin. This version developed under JSR 336. It added many small language changes including strings in switch, try-with-resources and type inference for generic instance creation. The JVM was extended with support for dynamic languages, while the class library was extended among others with a join/fork framework, an improved new file I/O library and support for new network protocols such as SCTP. Java 7 Update 76 was released in January 2015, with expiration date April 14, 2015. In June 2016, after the last public update of Java 7, "remotely exploitable" security bugs in Java 6, 7, and 8 were announced. Java SE 9 and 10 had higher system requirements, i.e. Windows 7 or Server 2012 (and web browser minimum certified is upped to Internet Explorer 11 or other web browsers), and Oracle dropped 32-bit compatibility for all platforms, i.e. only Oracle's "64-bit Java virtual machines (JVMs) are certified". Java SE 11 was released September 2018, the first LTS release since the rapid release model was adopted starting with version 9. For the first time, OpenJDK 11 represents the complete source code for the Java platform under the GNU General Public License, and while Oracle still dual-licenses it with an optional proprietary license, there are no code differences nor modules unique to the proprietary-licensed version. Java 11 features include two new garbage collector implementations, Flight Recorder to debug deep issues, a new HTTP client including WebSocket support. Java SE 12 was released March 2019. In addition to language changes, significant changes have been made to the Java class library over the years, which has grown from a few hundred classes in JDK 1.0 to over three thousand in J2SE 5.0. Entire new APIs, such as Swing and Java 2D, have evolved, and many of the original JDK 1.0 classes and methods have been deprecated. According to Oracle in 2010, the Java Runtime Environment was found on over 850 million PCs. Microsoft has not bundled a Java Runtime Environment (JRE) with its operating systems since Sun Microsystems sued Microsoft for adding Windows-specific classes to the bundled Java runtime environment, and for making the new classes available through Visual J++. Apple no longer includes a Java runtime with OS X as of version 10.7, but the system prompts the user to download and install it the first time an application requiring the JRE is launched. Many Linux distributions include the OpenJDK runtime as the default virtual machine, negating the need to download the proprietary Oracle JRE. Some Java applications are in fairly widespread desktop use, including the NetBeans and Eclipse integrated development environments, and file sharing clients such as LimeWire and Vuze. Java is also used in the MATLAB mathematics programming environment, both for rendering the user interface and as part of the core system. Java provides cross platform user interface for some high end collaborative applications such as Lotus Notes. Oracle plans to first deprecate the separately installable Java browser plugin from the Java Runtime Environment in JDK 9 then remove it completely from a future release, forcing web developers to use an alternative technology. Java ME has become popular in mobile devices, where it competes with Symbian, BREW, and the .NET Compact Framework. The diversity of mobile phone manufacturers has led to a need for new unified standards so programs can run on phones from different suppliers – MIDP. The first standard was MIDP 1, which assumed a small screen size, no access to audio, and a 32 KB program limit. The more recent MIDP 2 allows access to audio, and up to 64 KB for the program size. With handset designs improving more rapidly than the standards, some manufacturers relax some limitations in the standards, for example, maximum program size. Google's Android operating system uses the Java language, but not its class libraries, therefore the Android platform cannot be called Java. Android, in all supported versions, executes the code on the ART VM (formerly the Dalvik VM up to Android 4.4.4) instead of the Java VM. The Java platform has matured into an Enterprise Integration role in which legacy systems are unlocked to the outside world through bridges built on the Java platform. This trend has been supported for Java platform support for EAI standards like messaging and Web services and has fueled the inclusion of the Java platform as a development basis in such standards as SCA, XAM and others. Java has become the standard development platform for many companies' IT departments, which do most or all of their corporate development in Java. This type of development is usually related to company-specific tooling (e.g. a booking tool for an airline) and the choice for the Java platform is often driven by a desire to leverage the existing Java infrastructure to build highly intelligent and interconnected tools. The Java platform has become the main development platform for many software tools and platforms that are produced by third-party software groups (commercial, open source and hybrid) and are used as configurable (rather than programmable) tools by companies. Examples in this category include Web servers, application servers, databases, enterprise service buses, business process management (BPM) tools and content management systems. Enterprise use of Java has also long been the main driver of open source interest in the platform. Open source communities have produced a large amount of software, including simple function libraries, development frameworks, and open source implementations of standards and tools. When Sun announced that Java SE and Java ME would be released under a free software license (the GNU General Public License), they released the Duke graphics under the free BSD license at the same time. A new Duke personality is created every year. For example, in July 2011 "Future Tech Duke" included a bigger nose, a jetpack, and blue wings. The source code for Sun's implementations of Java (i.e. the de facto reference implementation) has been available for some time, but until recently,[when?] the license terms severely restricted what could be done with it without signing (and generally paying for) a contract with Sun. As such these terms did not satisfy the requirements of either the Open Source Initiative or the Free Software Foundation to be considered open source or free software, and Sun Java was therefore a proprietary platform. While several third-party projects (e.g. GNU Classpath and Apache Harmony) created free software partial Java implementations, the large size of the Sun libraries combined with the use of clean room methods meant that their implementations of the Java libraries (the compiler and VM are comparatively small and well defined) were incomplete and not fully compatible. These implementations also tended to be far less optimized than Sun's. Sun announced in JavaOne 2006 that Java would become free and open source software, and on October 25, 2006, at the Oracle OpenWorld conference, Jonathan I. Schwartz said that the company was set to announce the release of the core Java Platform as free and open source software within 30 to 60 days. Sun released the Java HotSpot virtual machine and compiler as free software under the GNU General Public License on November 13, 2006, with a promise that the rest of the JDK (that includes the JRE) would be placed under the GPL by March 2007 ("except for a few components that Sun does not have the right to publish in distributable source form under the GPL"). According to Richard Stallman, this would mean an end to the "Java trap". Mark Shuttleworth called the initial press announcement, "A real milestone for the free software community". Sun released the source code of the Class library under GPL on May 8, 2007, except some limited parts that were licensed by Sun from third parties who did not want their code to be released under a free software and open-source license. Some of the encumbered parts turned out to be fairly key parts of the platform such as font rendering and 2D rasterising, but these were released as open-source later by Sun (see OpenJDK Class library). Sun's goal was to replace the parts that remain proprietary and closed-source with alternative implementations and make the class library completely free and open source. In the meantime, a third-party project called IcedTea created a completely free and highly usable JDK by replacing encumbered code with either stubs or code from GNU Classpath. However OpenJDK has since become buildable without the encumbered parts (from OpenJDK 6 b10) and has become the default runtime environment for most Linux distributions. In June 2008, it was announced that IcedTea6 (as the packaged version of OpenJDK on Fedora 9) has passed the Technology Compatibility Kit tests and can claim to be a fully compatible Java 6 implementation. Because OpenJDK is under the GPL, it is possible to redistribute a custom version of the JRE directly with software applications, rather than requiring the enduser (or their sysadmin) to download and install the correct version of the proprietary Oracle JRE onto each of their systems themselves. In most cases, Java support is unnecessary in Web browsers, and security experts recommend that it not be run in a browser unless absolutely necessary. It was suggested that, if Java is required by a few Web sites, users should have a separate browser installation specifically for those sites. When generics were added to Java 5.0, there was already a large framework of classes (many of which were already deprecated), so generics were chosen to be implemented using erasure to allow for migration compatibility and re-use of these existing classes. This limited the features that could be provided by this addition as compared to some other languages. The addition of type wildcards made Java unsound. Java lacks native unsigned integer types. Unsigned data are often generated from programs written in C and the lack of these types prevents direct data interchange between C and Java. Unsigned large numbers are also used in many numeric processing fields, including cryptography, which can make Java less convenient to use for these tasks. Although it is possible to partially circumvent this problem with conversion code and using larger data types, it makes using Java cumbersome for handling the unsigned data. While a 32-bit signed integer may be used to hold a 16-bit unsigned value with relative ease, a 32-bit unsigned value would require a 64-bit signed integer. Additionally, a 64-bit unsigned value cannot be stored using any integer type in Java because no type larger than 64 bits exists in the Java language. If abstracted using functions, function calls become necessary for many operations which are native to some other languages. Alternatively, it is possible to use Java's signed integers to emulate unsigned integers of the same size, but this requires detailed knowledge of complex bitwise operations. While Java's floating point arithmetic is largely based on IEEE 754 (Standard for Binary Floating-Point Arithmetic), certain features are not supported even when using the strictfp modifier, such as Exception Flags and Directed Roundings – capabilities mandated by IEEE Standard 754. Additionally, the extended precision floating-point types permitted in 754 and present in many processors are not permitted in Java. In the early days of Java (before the HotSpot VM was implemented in Java 1.3 in 2000) there were some criticisms of performance. However, benchmarks typically report Java as being about 50% slower than C (a language which compiles to native code). Java's performance has improved substantially since the early versions. Performance of JIT compilers relative to native compilers has in some optimized tests been shown to be quite similar. Java bytecode can either be interpreted at run time by a virtual machine, or it can be compiled at load time or runtime into native code which runs directly on the computer's hardware. Interpretation is slower than native execution, and compilation at load time or runtime has an initial performance penalty for the compilation. Modern performant JVM implementations all use the compilation approach, so after the initial startup time the performance is equivalent to native code. The Java platform provides a security architecture which is designed to allow the user to run untrusted bytecode in a "sandboxed" manner to protect against malicious or poorly written software. This "sandboxing" feature is intended to protect the user by restricting access to certain platform features and APIs which could be exploited by malware, such as accessing the local filesystem, running arbitrary commands, or accessing communication networks. In recent years, researchers have discovered numerous security flaws in some widely used Java implementations, including Oracle's, which allow untrusted code to bypass the sandboxing mechanism, exposing users to malicious attacks. These flaws affect only Java applications which execute arbitrary untrusted bytecode, such as web browser plug-ins that run Java applets downloaded from public websites. Applications where the user trusts, and has full control over, all code that is being executed are unaffected. On August 31, 2012, Java 6 and 7 (then supported, but no longer) on Microsoft Windows, macOS, and Linux were found to have a serious security flaw that allowed a remote exploit to take place by simply loading a malicious web page. Java 5 was later found to be flawed as well. On January 10, 2013, three computer specialists spoke out against Java, telling Reuters that it was not secure and that people should disable Java. Jaime Blasco, Labs Manager with AlienVault Labs, stated that "Java is a mess. It’s not secure. You have to disable it." This vulnerability affects Java 7 and it is unclear if it affects Java 6, so it is suggested that consumers disable it. Security alerts from Oracle announce schedules of critical security-related patches to Java. On January 14, 2013, security experts said that the update still failed to protect PCs from attack. This exploit hole prompted a response from the United States Department of Homeland Security encouraging users to disable or uninstall Java. Apple blacklisted Java in limited order for all computers running its macOS operating system through a virus protection program. Responding to recent Java security and vulnerability issues, security blogger Brian Krebs has called for users to remove at least the Java browser plugin and also the entire software. "I look forward to a world without the Java plugin (and to not having to remind readers about quarterly patch updates) but it will probably be years before various versions of this plugin are mostly removed from end-user systems worldwide." "Once promising, it has outlived its usefulness in the browser, and has become a nightmare that delights cyber-criminals at the expense of computer users." "I think everyone should uninstall Java from all their PCs and Macs, and then think carefully about whether they need to add it back. If you are a typical home user, you can probably do without it. If you are a business user, you may not have a choice." The Java runtime environment has a history of bundling sponsored software to be installed by default during installation and during the updates which roll out every month or so. This includes the "Ask.com toolbar" that will redirect browser searches to ads and "McAfee Security Scan Plus". These offers can be blocked through a setting in the Java Control Panel, although this is not obvious. This setting is located under the "Advanced" tab in the Java Control Panel, under the "Miscellaneous" heading, where the option is labelled as an option to suppress "sponsor offers". Java has yet to release an automatic updater that does not require user intervention and administrative rights unlike Google Chrome and Flash player. ^ "JavaSoft ships Java 1.0". Web.archive.org. Archived from the original on 2008-02-05. Retrieved 2016-02-09. ^ Ortiz, C. Enrique; Giguère, Éric (2001). Mobile Information Device Profile for Java 2 Micro Edition: Developer's Guide (PDF). John Wiley & Sons. ISBN 978-0471034650. Retrieved 2012-05-30. ^ "JDK 12 GA Release". Oracle Corporation. Retrieved 2019-03-19. ^ "jdk-updates/jdk11u". Oracle Corporation. Retrieved 2019-03-25. ^ "jdk8u/jdk8u". Oracle Corporation. Retrieved 2018-03-25. ^ "JDK 13 Early-Access Builds". Oracle Corporation. Retrieved 2019-04-10. ^ "HotSpot Group". Openjdk.java.net. Retrieved 2016-02-09. ^ a b "Oracle JDK 8 and JRE 8 Certified System Configurations Contents". Oracle.com. 2014-04-08. Retrieved 2016-02-09. ^ "Java SE 7 Supported Locales". Oracle.com. Retrieved 2016-02-09. ^ "OpenJDK: GPLv2 + Classpath Exception". Openjdk.java.net. 1989-04-01. Retrieved 2016-02-09. ^ "BCL For Java SE". Oracle.com. 2013-04-02. Retrieved 2016-02-09. ^ Naughton, Patrick. "Java Was Strongly Influenced by Objective-C". Virtual School. Archived from the original on 2012-09-03. ^ "Sun Opens Java". Sun Microsystems. 13 November 2006. Archived from the original on 2008-05-13. ^ O'Hair, Kelly (December 2010). "OpenJDK7 and OpenJDK6 Binary Plugs Logic Removed". Oracle Corporation. Retrieved 2011-11-25. ^ "Why should I uninstall older versions of Java from my system?". www.java.com. Archived from the original on February 12, 2018. Retrieved February 6, 2018. ^ "Why should I uninstall older versions of Java from my system?". Oracle. Retrieved 2016-09-09. ^ a b Whittaker, Zack (2013-01-11). "Homeland Security warns to disable Java amid zero-day flaw". ZDNet. Retrieved 2016-02-09. ^ "Java SE 6 Advanced". www.oracle.com. Retrieved 2018-05-20. ^ a b c Lewis, J. P.; Neumann, Ulrich. "Performance of Java versus C++". Graphics and Immersive Technology Lab, University of Southern California. ^ a b "The Java Faster than C++ Benchmark". Kano.net. 2003-11-14. Retrieved 2016-02-09. ^ Southwick, Karen (1999). High Noon: the inside story of Scott McNealy and the rise of Sun Microsystems. New York [u.a. ]: Wiley. pp. 120–122. ISBN 0471297135. ^ a b Byous, Jon (April 2003). "Java Technology: The Early Years". Sun Microsystems. Archived from the original on May 30, 2008. Retrieved 2009-08-02. ^ Southwick, Karen (1999). High Noon: the inside story of Scott McNealy and the rise of Sun Microsystems. New York [u.a. ]: Wiley. p. 124. ISBN 0471297135. ^ Walrath, Kathy (2001-12-21). "Foreword". Sun Microsystems. Retrieved 2009-08-02. ^ "The Java Community Process(SM) Program - JSRs: Java Specification Requests - detail JSR# 63". Jcp.org. Retrieved 2016-02-09. ^ "The Java Community Process(SM) Program - JSRs: Java Specification Requests - detail JSR# 59". Jcp.org. Retrieved 2016-02-09. ^ "Version 1.5.0 or 5.0?". Java.sun.com. Retrieved 2016-02-09. ^ "The Java Community Process(SM) Program - JSRs: Java Specification Requests - detail JSR# 176". Jcp.org. Retrieved 2016-02-09. ^ "Java Naming". Java.com. Oracle. Retrieved 25 August 2011. ^ "The Java Community Process(SM) Program - JSRs: Java Specification Requests - detail JSR# 336". Jcp.org. Retrieved 2016-02-09. ^ Lea, Doug (13 September 2004). "JSRs: Java Specification Requests: JSR 166: Concurrency Utilities". Java Community Process. Oracle Corp.
^ "Java™ SE Development Kit 7 Update 76 Release Notes". Oracle.com. Retrieved 2016-02-09. ^ "Windows XP and Java". Java.com. 2014-04-08. Retrieved 2016-02-09. ^ "installing JDK8 on Windows XP - advapi32.dll error". ^ "Oracle JDK 10 Certified System Configurations". www.oracle.com. Retrieved 2018-03-27. Only X.org Mode supported. Wayland mode is unsupported. ^ "Oracle Java SE Support Roadmap". Oracle Corporation. 2018-09-25. Retrieved 2018-09-25. ^ "JDK 11". Oracle Corporation. 2018-09-25. Retrieved 2018-09-26. ^ "JDK 12". OpenJDK. Retrieved 22 March 2019. ^ "What is Java technology and why do I need it?". Archived from the original on 25 September 2010. Retrieved 15 December 2011. Java runs on more than 850 million personal computers worldwide, and on billions of devices worldwide, including mobile and TV devices. ^ Topic, Dalibor (27 January 2016). "Moving to a plugin-free web". Oracle. ^ "Duke, the Java Mascot". Oracle. Retrieved 2019-03-18. ^ "duke: Project Home Page". Sun Microsystems. Archived from the original on 2007-06-18. Retrieved 2007-03-18. ^ "Duke, the Java Mascot". ^ "Future Tech Duke (The Java Source)". Tori Wieldt. Archived from the original on 2011-08-20. Retrieved 2011-08-17. ^ Stallman, Richard (May 24, 2006). "The Curious Incident of Sun in the Night-Time". Groklaw. ^ Schwartz, Jonathan. "?". Jonathan Schwartz's Blog. Sun Microsystems. Archived from the original on 2006-07-15. ^ Name * (2006-10-26). "Oracle OpenWorld: UnBreakable Linux / 5015.2 not on the horizon | Formtek Blog". Formtek.com. Retrieved 2016-02-09. ^ "Oracle and Sun Microsystems | Strategic Acquisitions | Oracle". Sun.com. Retrieved 2016-02-09. ^ "Free but Shackled - The Java Trap - GNU Project - Free Software Foundation". Gnu.org. 2004-04-12. Retrieved 2016-02-09. ^ "Sun 'releases' Java to the World". BBC News. November 13, 2006. Retrieved May 6, 2010. ^ "Open JDK is here!". Sun Microsystems. May 8, 2007. Retrieved 2007-05-09. ^ Wielaard, Mark (2007-05-30). "OpenJDK6 b10 source posted". Retrieved 2008-07-12. ^ Sharples, Rich (2008-06-19). "Java is finally Free and Open". Archived from the original on 2008-06-20. ^ libgdx (2013-12-09). "Bundling a jre · libgdx/libgdx Wiki · GitHub". Github.com. Retrieved 2016-02-09. ^ "Question about bundling custom OpenJDK". Java-Gaming.org. Retrieved 2016-02-09. ^ Cluley, Graham (2013-01-15). ""Unless it is absolutely necessary to run Java in web browsers, disable it", DHS-sponsored CERT team says – Naked Security". Nakedsecurity.sophos.com. Retrieved 2016-02-09. ^ "Generics in Java". Object Computing, Inc. Archived from the original on 2007-01-02. Retrieved 2006-12-09. ^ "What's Wrong With Java: Type Erasure". 2006-12-06. Retrieved 2006-12-09. ^ "Java and Scala's Type Systems are Unsound" (PDF). ^ "Java libraries should provide support for unsigned integer arithmetic". Bug Database, Sun Developer Network. Oracle. Retrieved 2011-01-18. ^ Owens, Sean R. (2009-11-05). "Java and unsigned int, unsigned short, unsigned byte, unsigned long, etc. (Or rather, the lack thereof)". darksleep.com. Retrieved 2010-10-09. ^ Kahan, W.; Darcy, Joseph D. (1998-03-01). "How Java's Floating-Point Hurts Everyone Everywhere" (PDF). Retrieved 2006-12-09. ^ "Types, Values, and Variables". Sun Microsystems. Retrieved 2006-12-09. ^ "C++ vs Java performance; It's a tie! | Blog of Christian Felde". Blog.cfelde.com. Retrieved 2016-02-09. ^ "Java Security Architecture: Contents". Docs.oracle.com. 1998-10-02. Retrieved 2016-02-09. ^ Horowitz, Michael (2012-08-31). "Java security flaw: yada yada yada | Computerworld". Blogs.computerworld.com. Archived from the original on 2014-07-24. Retrieved 2016-02-09. ^ Brook, Chris. "The first stop for security news". Threatpost. Archived from the original on 2013-03-08. Retrieved 2016-02-09. ^ "Why and How to Disable Java on Your Computer Now - Technology & science - Innovation". NBC News. 2013-01-12. Retrieved 2016-02-09. ^ "US Department of Homeland Security Calls On Computer Users To Disable Java". Forbes.com. Retrieved 2016-02-09. ^ Brook, Chris. "The first stop for security news". Threatpost. Archived from the original on 2013-04-09. Retrieved 2016-02-09. ^ "Critical Patch Updates and Security Alerts". Oracle.com. Retrieved 2016-02-09. ^ Finkle, Jim (2013-01-14). "Emergency patch for Java fails to fix cybercrime holes, warn experts". Independent.ie. Retrieved 2016-02-09. ^ Kelly, Meghan (2013-01-14). "Oracle issues fix for Java exploit after DHS warns of its holes". VentureBeat. Retrieved 2016-02-09. ^ Krebs, Brian (16 February 2016). "Good Riddance to Oracle's Java Plugin". KrebsOnSecurity. ^ Gonsalves, Antone (5 September 2012). "Java Is No Longer Needed. Pull The Plug-In". ReadWrite. Wearable World. ^ "Java: should you remove it?". theguardian.com. Guardian Media Group. 8 February 2013. ^ Bott, Ed. "A close look at how Oracle installs deceptive software with Java updates". ZDNet.com. ZDNet. Retrieved 2014-12-14. ^ "How do I update Java from a non-admin account?". Look up Java in Wiktionary, the free dictionary. This page was last edited on 13 April 2019, at 14:17 (UTC).